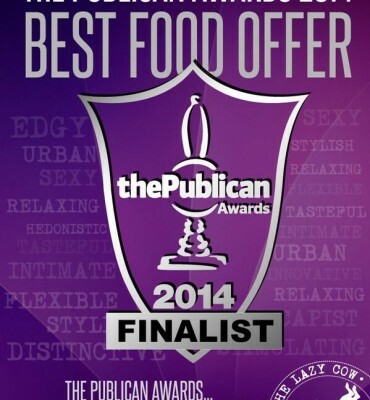 Renaissance Pubs Shortlisted in Best Food Category – Publican Awards 2014 | Three Cheers Pub Co.
We’re pleased to announce that we have been selected as a finalist in this year’s Publican Awards. We have been nominated in the Best Food Category for 2014. Panel interviews have now taken place and the winner will be announced at the awards ceremony on Tuesday, 25 March 2014 at London’s Grosvenor House Hotel.